"In 2016, danger has a new name." We're breaking our own rules to bring you a trailer for a TV series, but this deserves the attention. 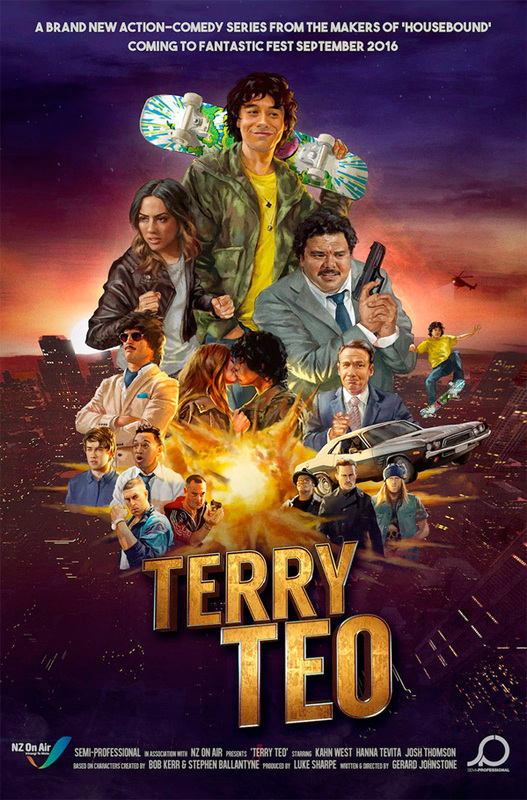 Terry Teo is a 2016 reboot of a vintage 80's TV show from New Zealand, this version directed by the guy who made the film Housebound. The show stars Kahn Wes as the titular "Terry Teo", a "savvy teenager" who uses his street smarts to solve crime. This looks way better than it sounds, and the humor is spot on. The other reason we're featuring this is that it's actually premiering (in the US) at one of our favorite festivals - Fantastic Fest in Austin, TX. If you've enjoyed any of films by Taika Waititi, then you need to take a look at this. The series is actually rated PG in New Zealand but it still looks like crazy fun. Teenaged cat burglar Terry Teo turns crime fighter when his estranged father is killed by local gangsters in this revival of the classic New Zealand character. The new 2016 season of "Terry Teo" is both written and directed by Gerard Johnstone, who worked on "The Jaquie Brown Diaries" series and directed the horror film Housebound before this. The original "Terry Teo" TV series aired in New Zealand in the 1980s, starring Adrian Bell as Terry Teo. This new reboot of the show was originally going direct-to-online until critical acclaim and public support encouraged TVNZ to put the show on during a "family friendly" spot on TV. A few episodes will premiere at Fantastic Fest 2016 this fall in Austin, TX. Thoughts on the footage? Terribly low-budget trailer. Too cheap to seem ironic, too nice to seem good. Looks good to me. Can't wait. Not for everyone but I found it funny. The actor playing the main protagonist is kinda meh.